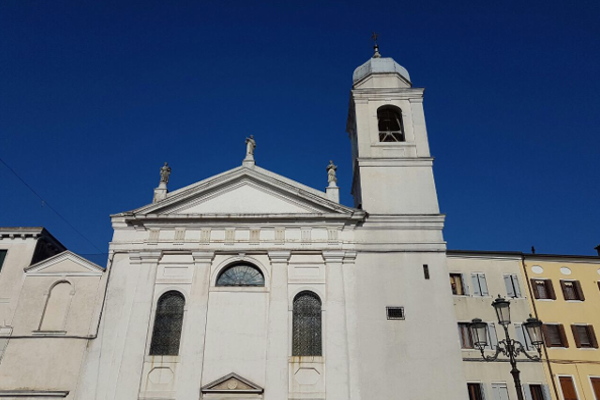 This church consecrated to San Francesco was built after the destruction of the Church of San Francesco outside the walls, that took place during the war of Chioggia. This beautiful church was built in 1385 inside the walls of the city and it hosted the Friars Minor in the neighbouring monastery. The church outside the walls of the city was rebuilt in 1434 and the friars moved there. Since 1515, following the orders of pope Leone X, some Benedictine Sisters leaved the convent of Santa Caterina of Chioggia and moved to that one of San Francesco inside the walls, which was temporarily empty. In the inside you can find a lot of high-level artworks, which were recently restored like the canvas “St. Francis of Assisi in ecstasy” (18th century) and “St. Francis of Assisi with the cross” (17th century), attributed to Van Dyck.